I've always been pretty apprehensive when it comes to trying out body treatments. Part of me insists that the journey of working out and a healthy diet should never be replaced but another part of me is just plain lazy (and could not resist fried chicken). Thus, I caved and decided to try out a session of the EstheCryo from Estheclinic. What a perfect time to try this out considering we just past Christmas and New Year. And yes, Chinese New Year is also on the way. What a steep uphill slope to a slim figure, I say. EstheCryo is a non surgical fat freezing treatment that utilises Cryolipolysis which helps to freeze away stubborn fat deposits and provide an improved silhouette without any pain. This focuses on inch-loss, rather than wight loss. Fat freezing basically works by freezing (and thus "killing") the fat cells that form the fatty tissue underneath the skin. 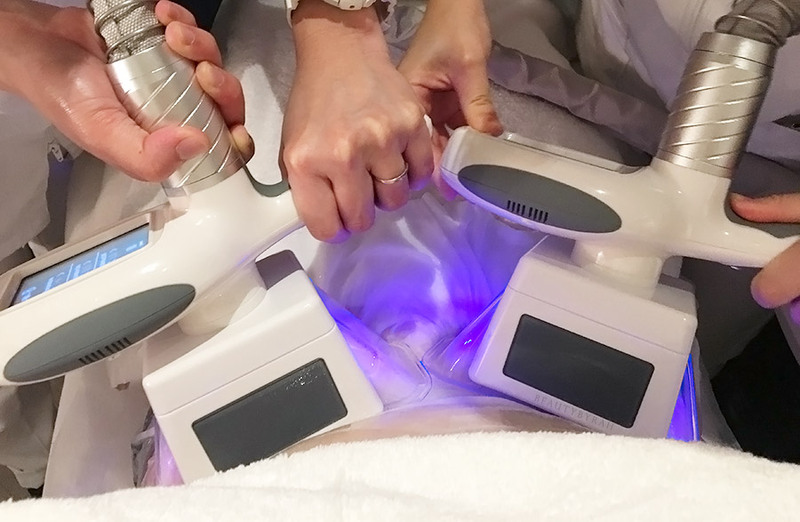 With the application of sub-zero temperatures to the targeted area, the damaged fat cells gradually die and they are eventually metabolised by the body's lymphatic drainage system. If you're wondering what the lymphatic drainage system is, this article by Britannica explains it pretty succinctly imo. Before the entire treatment of about an hour begins, there is a short consultation with the consultant to discuss the treatment area, procedure, my expectations and to identify any possible allergies that could arise. The areas most suited for this treatment would be the abdomen, hips, back, inner thighs, buttocks and the lower back area, as these tend to contain localised and excess fat deposits. After, we headed straight to the treatment room. 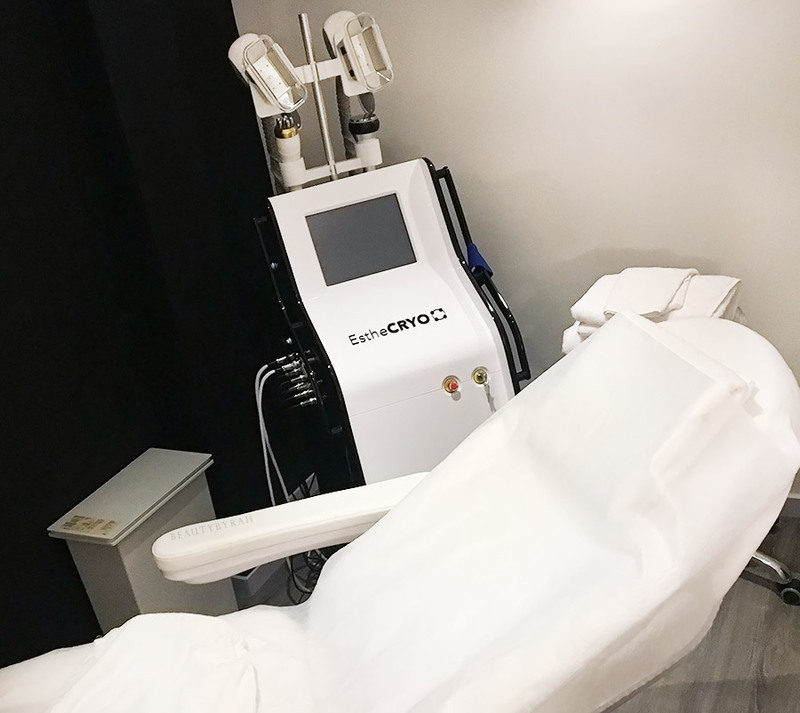 As mentioned in my previous post on Estheclinic, they utilise special machines that are developed exclusively for them by BVA Technology which is their parent company. Thus, this cryolipolysis machine is unique to Estheclinic itself. 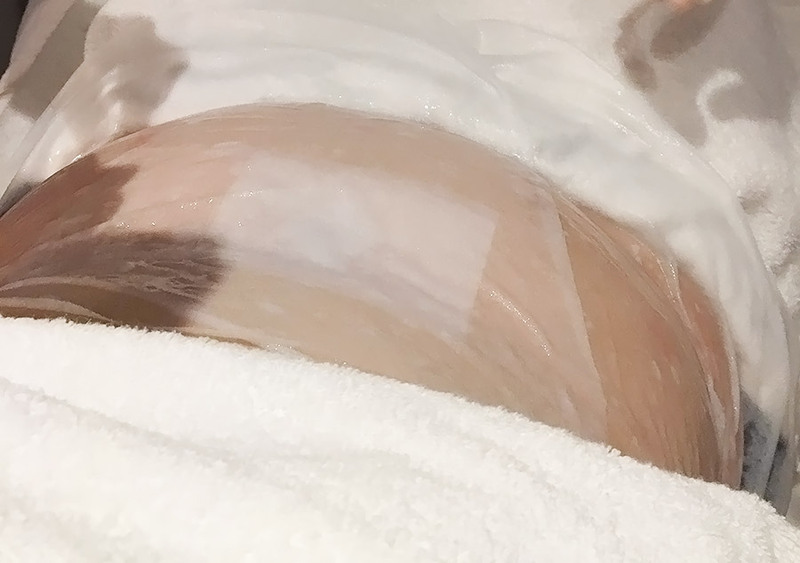 Before using the machine, the specialist applied a mask sheet to my belly to help prevent any pain or frost bite as the machine does reach subzero temperatures and it can't be placed on the bare skin. The Estheclinic cryolipolysis technology has two hand pieces and can help treat multiple areas in the same session as well. I had both hand pieces on my lower tummy area, my life-long buddies, the left pooch and the right. After getting the position of the hand piece right, the machine slowly sucked in my pooch and I could feel pulsing motions in the area. This machine is also said to be pain free due to its unique suction method that gradually draws up the targeted fatty tissues instead of one forceful go all at once. This does reduce the discomfort experienced and I did not feel any pain at all. Pain was definitely one factor that deterred me from trying out body treatments but this was perfectly fine. To me, it felt pretty similar to a cold, large hand just constantly grabbing my pooches. This stage took about an hour but it past pretty quickly for me as my hands were free and I could use my phone. This treatment also has minimal downtime and there isn't any restrictions on post-treatment activity after. 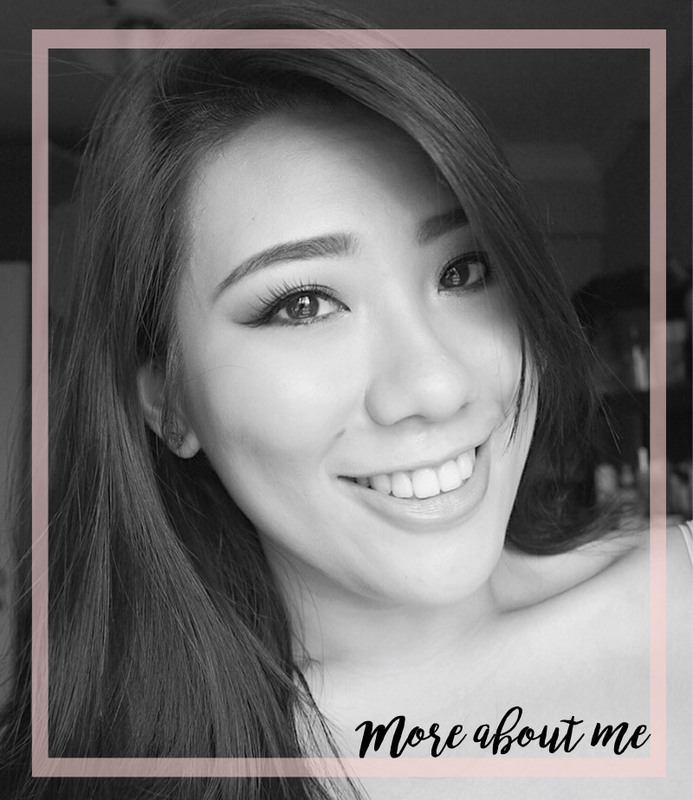 After my session, I did have a little redness at the treated areas and I felt a tad sore in my lower abdominal region but nothing that restricted my activity for that day. For the next few days, if I did press on that region, it felt a little bruised (similar to how it feels when you press down on a blue-black), but nothing major. This treatment is said to achieve dramatic permanent reductions of fat cells in the treated area of 20% to 30% in a simple 1 hour session. After the treatment, it takes about one or two months for the treated fat cells to be fully eradicated from the body via the lymphatic drainage system. They also advised that for the first week or so, do massage the area treated for about a minute per day to help aid in the breaking down of the fat cells and helping it to assimilate into the bloodstream. I am typing this a month after my treatment and personally, I lost about half an inch around my lower abdominal region. Do note, this treatment was done right before my food-filled trip to Taiwan, Christmas and New Year. I also do have tons of excess skin on my body due to a period of intense weight loss when I was 15. In terms of skin tightening, I did not personally experience much. Radio frequency treatment would probably be more effective when it comes to that. However, despite all the additional intakes of food and considering that my lower belly fat has been extremely stubborn over the years (like I mentioned, my pooches have been my life-long friends despite my attempts to break off our companionship), half an inch lost isn't too bad. They do recommend a second treatment after 2 months after the first session to help achieve better results. A body that you will feel confident in will take time and patience. Healthy eating and regular exercise are the most important elements when it comes to a healthy weight and a more defined silhouette. Yes, I am trying my best to eat healthier and go the gym more often and of course, I didn't expect to be a size 8 after one session. However, I do see this EstheCryo treatments as a viable option to pair with your own personal efforts to help achieve a body that you would be confident in, whichever size that may be. Stubborn fats do take a lot of work and this treatment can aid in its removal much faster and easier. An hour isn't too long and considering that a treatment is roughly about once every 2 months, I do foresee this being feasible for many working adults who are pressed for time as well. If you are interested, one session is SGD 550 and there are packages of 6 sessions for SGD 2388 and 10 sessions for SGD 3480. Currently, EstheCryo is only available at the Tras Street outlet (nearest MRT would be Tanjong Pagar, and around a 3 minute walk). For more information on EstheCryo, you can check out Estheclinic's main website here. Have you tried such treatments before? **This session was kindly sponsored by Estheclinic for review purposes. I am not compensated or affiliated to the brand. The above review is based on my true and honest opinion and it also contains information from the brand itself.